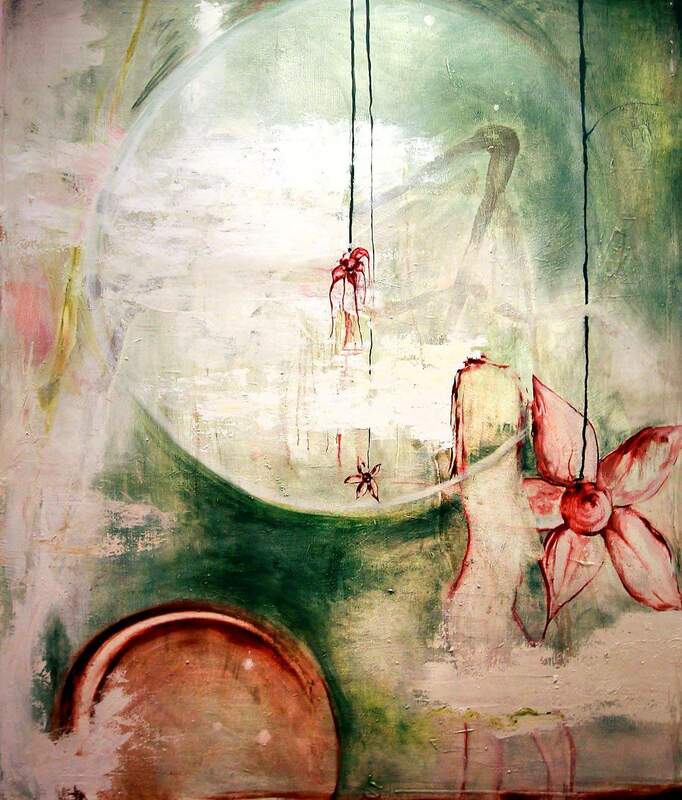 Yin and Yang, an oil on canvas by Durango artist Alexis McLean. 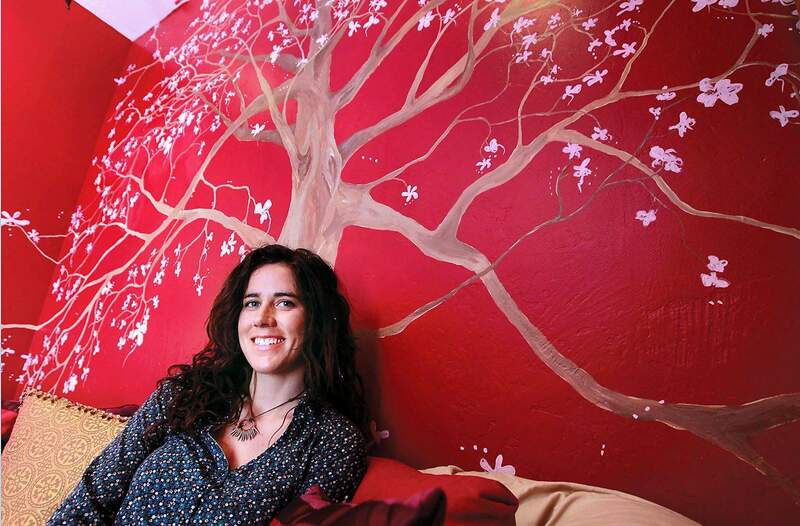 Alexis McLean relaxes beneath her power tree mural, which represents the blossoming of a woman within, painted on the lobby wall at the Red Tent womens healing center in Durango. Alexis McLean walks past her hallway-length mural of a fertility goddess at the Red Tent. In Deep, an oil on canvas by Alexis McLean. One of the first things you notice about artist Alexis McLean is her intense blue eyes. While much of her work happens to incorporate a similar color blue, the real intent is to portray a mood rather than anything to do with her personal features. A native Coloradan, McLeans earliest artistic tendencies were encouraged by her parents, who, literally and emotionally, gave her the space to explore her creativity. As a student, she attended art school in Bellingham, Wash., where she studied drawing and ceramics. She later transferred to Fort Lewis College to study humanities and painting, the latter of which she came to prefer as her medium of choice. After graduation, the emergent artist took a hiatus from creating and let her education percolate a while before determining where it would lead her. She spent time in Denver and the Far East, before getting back to art and eventually returning to Durango. 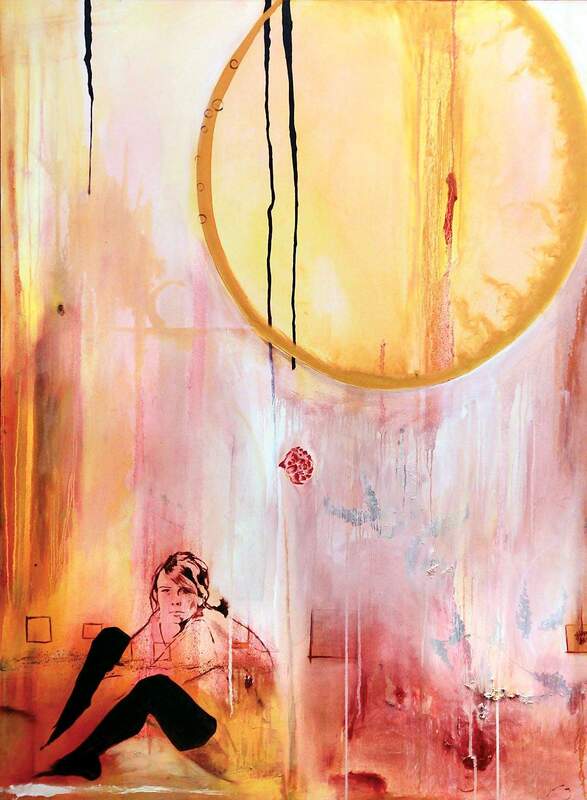 Although she is not yet represented by a gallery, her work has been seen around town in a variety of venues, including the Durango Arts Center, studio &, as well as on the walls of several business establishments. Her art currently is on view in a solo show titled Empowering Spaces, which is at the Red Tent, a womens healing center next door to the Discovery Museum in the Riverfront Building. Most of McLeans work falls into the abstract or Expressionistic category, yet she often integrates figurative elements such as a womans face or torso, a raven and even fantasy creatures such as a water-born dragon. I want to incorporate the painting process into (my) other interests; spirituality, herbal medicine and the openness of creativity, she said. McLean pointed out that in some cultures there is no word for art. Many artists find inspiration in music, and McLean is no exception; the difference lies in the kind of music. Two of her favorites are Radiohead and Fever Ray, and it is easy to recognize the rhythms of their sound in the imagery of her paintings. Each month, Herald contributing writer Stew Mosberg spotlights an influential member of the arts community in La Plata County. This months subject is artist Alexis McLean. See more of her work at www.alexis-mclean.com.